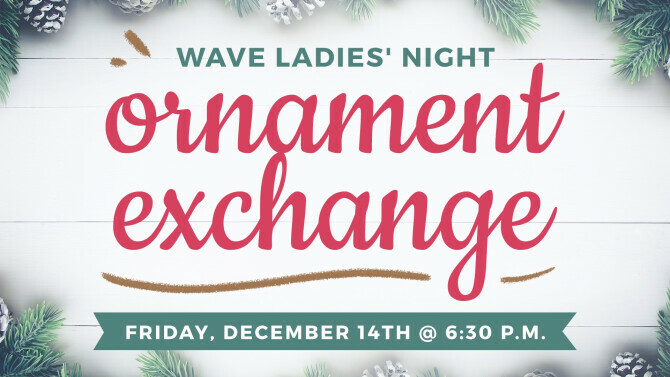 Wave Ladies' Annual Ornament Exchange is Coming Soon! Come join us for a wonderful evening of fellowship, Christmas cheer, and ornament swapping -- and swiping! We will share some laughs, share some ornaments, and share some good food. Please bring either an appetizer or a dessert, and a wrapped ornament for the exchange. See you December 14, 2018 at 6:30 p.m.!